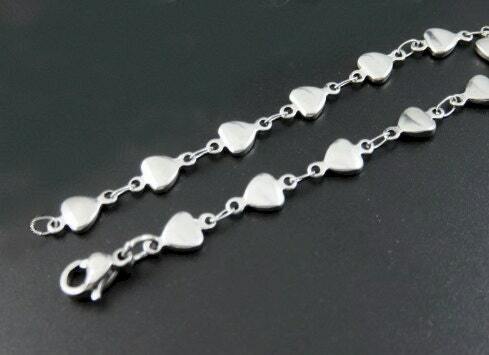 Fabulous looking Stainless Steel Tiny Heart Links make up this Bracelet or Necklace. 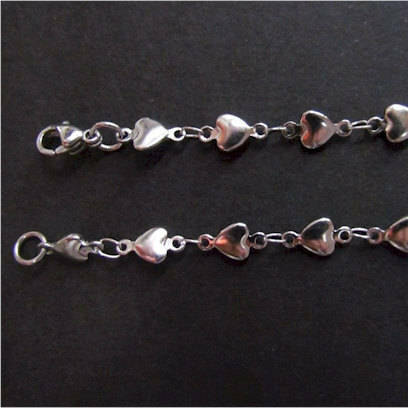 Yes every link is a 3/8"L x 3/16"W Tiny Heart! Very Unique.